In order to figure out what nationalism is all about, we must firstly ask ourselves what does nation mean. Nation is an elusive concept, as all abstractions are, that defines a unified imaginary community in which an elite is chosen to speak on behalf of the people but don´t recognise the role of the less privileged or opposing views in order to convey that image of unity it is based upon. The sense of national belonging is forged by the exclusion or denigration of others and the nationalist discourse uses several mechanisms to try and create that delusional sense of belonging. The nation, as a myth, needs to create that feeling of belonging to something greater than oneself and does it by resorting to symbols, to a common culture, to language and traditions, as well. Also, race and ethnicity are typically used to set the limits of the nation by discriminating individuals on the ground of physical features, positing boundaries that establish who can or cannot belong to the nation according to certain parameters. Racial difference is socially and discursively constructed and used for particular porpuses within nationalism. According to Etiènne Balibar there are two main forms of racism; external racism, which involves the discrimination of those who live outside the border on the grounds of race and internal racism which discriminates those within the nation not deemed to belong to an imagined community by keeping them in a subservient position in society or, in some cases, by their extermination. There are several well known examples of the use of race and ethnicity for privileging one racial group as the nation’s true people as a strategy to build the myth of the nation. We can all recall the genocide in Rwanda, grounded on ethnicity, in 1994: the mass slaughter in Rwanda of the ethnic Tutsi and politically moderate Hutu peoples. Some estimates claim that anywhere between 500,000-1,000,000 were murdered, along with thousands of Tutsi sympathizers, with another 2 million refugees in neighbouring countries. These kinds of conflicts based on ethnicity are not rare in those countries who inherited their borders from the colonising countries, given that withing those borders many different ethnic groups, different cultures and religions can be found. In the Basque Country, Sabino Arana and others based their nationalist discourse on some theories which established the Basque physical and genetic features, such as the fact that the Basques possessed the highest global apportion of the Rh- blood types, or that they had certain craneal and physical features. These theories were also supported by authors such as the geneticist L. Luca Cavalli Sforza, who stated that the Basques were the descendants of the Cro-Magnons, and served to build a sense of exclusive national identity which was used by Basque politician Xabier Arzalluz in 1993, not that long ago. Hitler intended to foster an Aryan Germany by the extermination of other ethnic groups and those he considered defective and undertook the Lebensborn project, a state supported association in Nazi Germany with the goal of raising children of persons classified as “racially pure and healthy” as based on Nazi ideal ethnicity. The United States of America is a country whose foundations were built upon migration. The first settlers didn´t arrive to a terra nullius, but to a populated country where they were the foreigners. Supported by their manifest destiny theory, they appropriated the land and everything it offered until the 13 colonies declared their independence in 1876 and a new country was born. 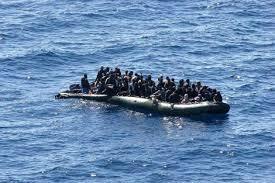 One of the first waves of immigration was constituted by slaves, brought by the colonies to work in plantations. Slavery was legal in all 13 colonies at the time of the Declaration of Independence. Europeans arrived looking for profitable ventures, but workers except indentured labourers, including convicted criminals, were hard to find due to the harsh conditions, so the colonies resorted on slavery. Massachussets was the first colony to authorise slavery through an enacted law. The most common countries of origin of the slaves were Senegal, Gambia, Guinea-Bissau, Mali, Angola, Congo, Gabon, Ghana (called the Gold Coast or the Slave Coast), the Ivory Coast, Nigeria and Cameroon. From 1849 to 1882 the country received a large flow of Chinese attracted by the gold rush after which they stayed in the country working on the railway construction and farms for lower wages than the locals. Voices were raised against Oriental immigration and there were riots, like the LA riot in 1871, which resulted in 15 Chinese citizens being lynched. As a result of the riots a clause was inserted and accepted in the new Constitution in California (1879) which forbade employment of any Chinese labourers. Later on, in 1882, the Congress enacted the Chinese Exclusion Act, that excluded Chinese labourers for 10 years and finished Chinese immigration for almost a century. In the same year certain restrictive policies were adopted banning paupers, convicts and the insane. The country received wave after wave of immigrants. As a result the population tripled due to the arrival of immigrants between 1860 and 1920, when most of them came from western Europe and were mainly protestant; they arrived from Germany, Ireland and England. Immigrants from these countries started decreasing in number after 1890 and Scandinavians decreased after 1910. In 1920, 38% of the foreign born population was made up of Poles, Serbs, Italians, Hungarians, Austrians and Russians who were Catholics, Greek Orthodox or Jewish and hostility to immigrants surfaced in the Sacco & Vanzetti case. There was another wave of migration of Southern and Eastern Europeans in 1923 and the number of nordic Europeans and those of Anglo-Saxon stock decreased. Madison Grant expressed his fear that they would be overwhelmed by lesser breeds who were considered as intellectually inferior to whites from northern Europe. Racists, xenophobes, anti-Catholic and anti-semites supported this quotas system to preserve the WASP proportion of the population. As a result, the Congress adopted the National Origins Quota Act, establishing a greater quota of western and northern Europeans, of whom there was a limit of 150,000 per year, mostly from Ireland, Great Britain, Scandinavia and Germany, barring Asians entirely. This quota survived until de 1960s. Simultaneously, a large number of Mexicans, exempt of the quota regulation went northward across the Río Grande. All this comes to mind when one is faced with Trump’s project to build a wall between Mexico and the USA in order to prevent South Americans from crossing the borders seeking for a better future. Not to mention the slavery issue; Africans were forced out of their homeland for centuries to be exploited in the States and now African immigrants are blatantly shunned by the president. As Ebba Kalondo, spokesperson of the African Union responded to Trump’s unfortunate comment on January 9th: ‘given the gistorical reality of how many Africans arrived in the US as slaves, this statement flies in the face of all accepted behaviour and practice’. As at this stage there was not a generally accepted spelling system, confusion increased as the pronunciation of words slowly changed. In some cases there was a clear discrepancy between the written and the spoken word, as certain letters inserted in it were not pronounced, as in ‘debt’ /det/ – in this case it is due to its Latin etymology, debitum, dubitare -or ‘gh’ in ‘light’. Many scholars thought that English spelling was arbitrary, as its written form even varied from one writer to another. Sir John Cheke, for instance, doubled long vowels; ‘taak, haat, maad, mijn, thijn’ = ‘take, hate, made, mine, thine’. Richard Stanyhurst wrote ‘thee’ for ‘the’, ‘too’ for ‘to’, ‘mee’, ‘neere’, etc. Also it is not clear to which extent is the writing indebted to the writer or to the printer, since most printers took advantage of the variability of English spelling to ‘justify’ a line. Even in excerpts written by just one author we can come across different spellings for the same word, as in the case of the pamphlets written by Greene, where we find ‘coney’, ‘cony’, ‘conny’, ‘conye’, ‘conie’, ‘connie’, ‘coni’, ‘cuny’, ‘cunny’ and cunnie’. in 1568, Thomas Smith increases the alphabet to 34 letters and marked the long vowels in his work “Dialogue concerning the correct and emended writing of the English language”. In 1569 and 1570, John Hart in his works “An Orthographie” and “A method or comfortable beginning for all unlearned, whereby they may bee taught to read English”, he makes special characters for -dh, -sh and -th. In 1580 there is an attempt at establishing a phonetic reform devised by William Bullokar in his “Booke at large for the amendment of orthographie for English speech”, in which he profits by mistakes made by Smith and Hart in the aforementioned works and invents few special characters but introduces the use of accents, apostrophes and hooks above and below the letters. Later, in 1634, Charles Butler substitutes an inverted apostrophe for final e’s and a special character for -th, with scarce success in his work “The English grammar, or the institution of letters, syllables and woords in the English tung”. Mulcaster clearly perceives all of the previous attempts as a waste in his work “Elemmentarie”, the most important treatise on English spelling in the 16th century and his virtue is moderation, being willing to compromise between the ideal and the practical. If the differences between one sound and another were too subtle, it was inevitable to use one letter for different sounds, which for him was not worse than using the same word in different senses. Also, since pronunciation changes constantly, he could not adhere to the proposals by the phonetic reformers. For him, popular approval was the final authority. Thus, he would get rid of superfluous letters (putt, grubb, ledd), would not omit necessary ones (fetch, catch), allowed double consonants only when they belong to separate syllables (wit.ting) and ended words in -ss as -sse (glasse), otherwise final -e indicating long preceding vowels (made-mad, stripe-strip) among other suggestions. He wrote “General Table”, a book with the recommended spelling for 7,000 words. Ben Jonson drew from Mulcaster -as he acknowledged in the preface of his “Dictionary” in 1755, and finally established a solid basis for modern English spelling by 1650. 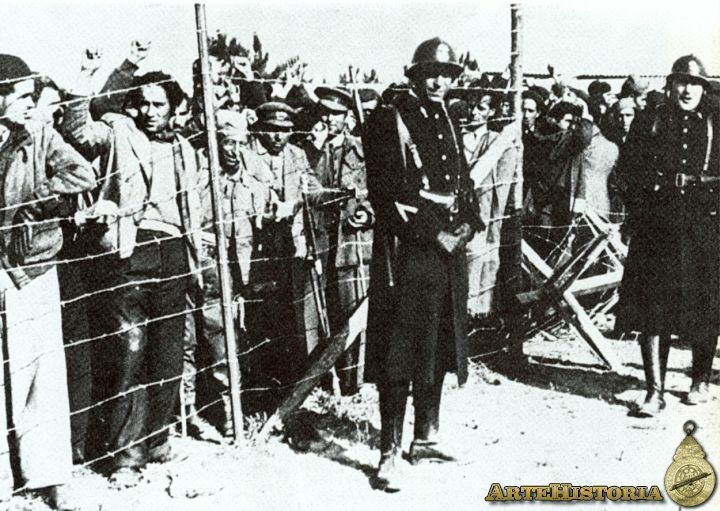 Foto 1: Españoles en un campo de concentración francés. 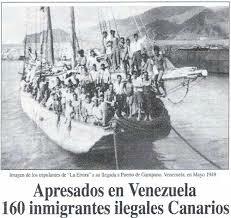 Foto 2: Inmigrantes “ilegales” españoles capturados en Venezuela. 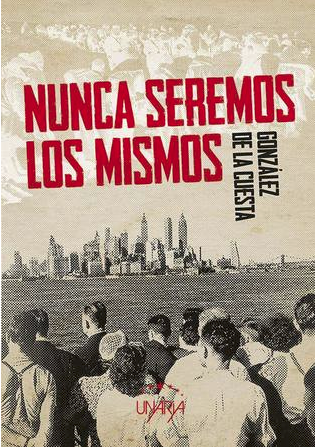 Es muy saludable ejercitar la memoria y la empatía, y eso es lo que hago, de mano del escritor González de la Cuesta. “nada les produce tanta desolación como la contemplación (…) de miles de personas pugnando por atravesar la frontera (…) las autoridades francesas no están poniendo mucho de su parte por aliviar el sufrimiento de esas personas que sólo quieren un lugar donde vivir y estar seguros. Es más, parecen dispuestos a impedir la entrada masiva de españoles a su país (…) a golpe de culata, empujones, insultos (…)”. Una vez penetras en el mundo de la diáspora, nada volverá a ser lo mismo. Tú nunca volverás a ser el mismo. Dejas atrás tu país e intentas adaptarte a uno nuevo, donde tu cultura y tu identidad son cuestionadas a cada paso, y cuanto más te adaptas -para poder sobrevivir-, más te separas de tu hogar. Esto es aún más agudo en el caso del exilio motivado por un conflicto bélico. Tú cambias, pero tu país lo hace de una forma drástica, dramática, sin vuelta atrás. Estas experiencias son vividas por Manuel, Rodrigo y Marga. Dejan su país para no volver, porque aquel país que conocían y amaban ha desaparecido para siempre. Junto a ellos sentimos la aguda punzada de dolor por tan inmensa pérdida, su lucha denodada por sobrevivir y su gran determinación. En su periplo se enfrentan no sólo al rechazo experimentado en Francia, sino que en su camino lleno de dignidad e iniciativa, también hay lugar para la solidaridad y el apoyo transnacional proveniente de ciudadanos anónimos que cobrarán un gran significado en sus vidas: Viveka, Mss.Cameron, Pilar… La crueldad y la indiferencia que muestran las autoridades de los países por los que pasan contrasta con la actitud de las personas de a pie, como suele suceder siempre. Las ciudades por las que van pasando están descritas a la perfección, y uno puede imaginarse en ellas, a finales de la década de los años 30 y principio de los 40, en una Europa convulsa y en Estados Unidos durante el ataque a Pearl Harbour. Prosiguen, inasequibles al desaliento, con sus vidas, pero algo se ha roto en su interior y sufren la angustia de quien ha sido arrancado de raíz de su hogar y expuesto a la incertidumbre de una vida nueva. Sí, hemos estado en la misma lancha de goma, compartiendo el mismo espíritu que conduce a todos aquellos que huyen de la atrocidad. Y no hace tanto tiempo de aquello. De la huída de un país herido de muerte, de la violación sistemática de los derechos humanos básicos, del hambre y de la muerte, de un conflicto fratricida. Éramos ellos. Y nuestras cunetas dan buena cuenta de ello, aún repletas de cadáveres de aquellos que -como Lola- no pudieron cruzar la frontera y fueron ejecutados y enterrados ahí mismo, en fosas comunes. Están por toda España. Justo ahí, bajo el asfalto, junto al muro, en los bosques, en los prados. Y, como dice esa famosa frase de Jorge Santayana, «Aquellos que no recuerdan el pasado están condenados a repetirlo». Es bueno no olvidar. Recordemos. 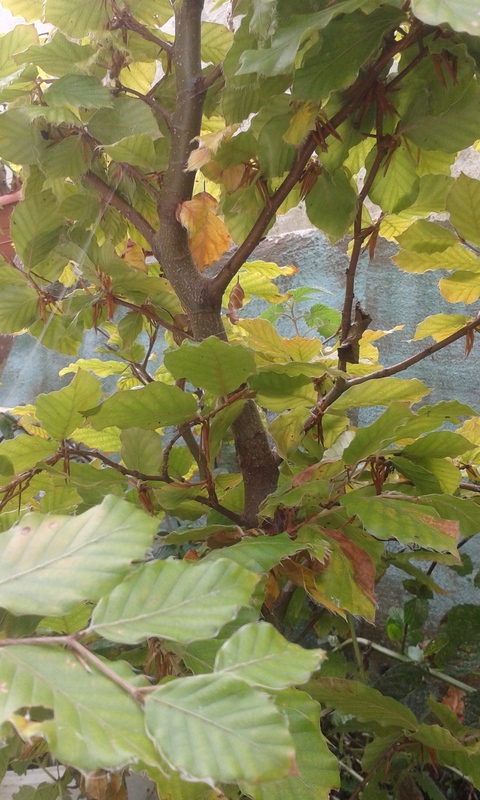 Día de difuntos de 2015, en recuerdo de todos aquellos que continúan bajo el asfalto, junto al muro, en los bosques y en los prados.